In his novella, Spies, author Will Williams gives readers a glimpse of the cold and closely controlled spy world. The protagonist, Phillip Anderson, a loyal and trusting spy working for the Secret Intelligence Agency, lives in two worlds: The life of a spy that is filled with danger and intrigue, and his private life of family and friends. Phillip’s two lives collide with fatal results. He is forced to come to the realization that in order to live, he must choose which world to live in. The story immediately brings the reader into Phillip’s life-altering dilemma. Phillip is a sympathetic anti-hero caught up in a life he believed to be of no threat to his family. Coming to terms with his secret life and family life is a fundamental plot of the story. As a novella, only Phillip’s character and personal development is presented. Because it is a short read, important characters such as the Director of the Spy Agency, Phillip’s family, and his fiancée are not developed. More presentation of these characters and details of Will’s missions with the Secret Intelligence Agency would have allowed for more engaging story lines. As well, more details regarding setting description would have added to the story. 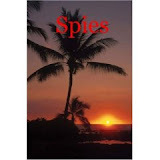 Filled with action and adventure, Spies is a definite must-read. It is an entertaining and page-turning story that can be enjoyed in one sitting. The author clearly has the creativity and skill to write full length thriller novels. I hope to read one in the future. 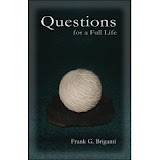 Briganti explains five important sections to achieving a complete and harmonious life. Fresh Horizons explores what is meant by living a full human life. The Keys path focuses on understanding the mind through imagination, desires, and self awareness. Inner Realities explores our selves through a better understanding of how our mind works. Pathways provide the tools required for achieving a full life. Final Horizon focuses on the future and how to create a future that is meaningful and happy. Each chapter within the section is filled with spiritual and psychological wisdom that help readers connect to themselves. Briganti imparts some important messages: We don’t have to be restrained by negative thoughts and emotions. Inner life and growth leads to external growth and happiness. We cannot connect to others until we connect to ourselves. A noteworthy point of the book is Briganti’s explanation of how to harness our thoughts through the use of imagination and understanding our mindsets. By understanding how we question ourselves and the world around us, we are better able to reflect on the many paths to achieving a full life. The key is to find the right path for you. Questions for a Full Life is designed to stimulate our senses, question our current state of being, and offer ways of achieving clarity. The structure of the book is designed to help the reader look inwardly, question, and find creative solutions. Because the book is packed with so much information, it would have been beneficial to end each chapter with a summary to help the reader develop a self reflection program. As well, it would have been helpful to see a daily work guide that one could use to implement the many principles presented in the book. Whether you are dealing with stress, anxiety, depression, or trying to figure out where you fit into the world, Questions for a Full Life is a helpful companion to any healing process or self-reflection plan. It will help you connect to your self and the world around you. With the Diet Industry grossing 30 billion dollars a year, one cannot help but wonder why obesity is a leading cause of preventable illness and death in North America. What makes this book an asset to anyone who wants to lose weight is Hemway’s candor when addressing weight loss. Told from her own personal struggle, she does not gloss up the state of obesity. She explains the effects of “Advanced Infirmation,” developing new illness as you age more rapidly than normal due to obesity. By providing an in-depth understanding of the biological functions of yeast in our bodies and how food works, she makes the point that real commitment must be taken to combat obesity. It seems that every day researchers are coming out with new reasons why obesity is on the rise. Some examples include thyroid problems and genetics. Hemway deals with a particular microorganism that affects food intake. Through her own experience, Hemway may have found the root cause of Yo-Yo dieting, but perhaps more doctors should study the Yeast Beast to see if it may or may not be the cause of their own patients’ obesity. With so many reasons given for the increase in obesity, the solution may be to diagnose the cause through a variety of tests rather that prematurely prescribing treatment. I highly recommend Beauty and the Yeast Beast as a comprehensive and well presented book on achieving permanent weight loss. Hemway does not simply tell you how to lose weight; she explains how to stop the insufferable ups and downs on the scale. The solution to her weight loss is carefully crafted to demonstrate that we do not have to be an overweight and obese society. All it takes is commitment, taking control, and defeating the Yeast Beast.